Deadline Extended to April 7th. Taos Art Insurgency is a show that poses the questions: Who will be the artists that lead the way for the new millennium? What will be the movements and issues they champion? Taos is a major artist's colony that has been at the forefront of all of the modern art movements initiated within the last 120 years. Throughout history various seminal art movements have been concentrated in this sleepy, little, mountain village. Taos has been a major seat of Modernism, Abstract-Expressionism, and Minimalism. David Anthony Fine Art, Wider Nightingale Fine Art, and Greg Moon Art of Taos host this national show in conjunction with the Taos Spring Arts Festival. The show will run April 27th – May 18th with an opening reception on May 4th. Entries are being accepted in painting, drawing, printmaking, photography, sculpture, mixed media, fiber arts, digital printed media, and assemblage. Entry deadline is midnight April 3rd. • Professionally printed invitation with a national mailer to the galleries' collectors. • Website presence for all selected artists on the galleries' websites. • Exposure to prominent figures/ collectors/ curators/ publishers in the visual arts. A resident of Taos for 33 years, Mapes is deeply invested in preserving the history and vitality of Taos as an international arts center. He is a custom furniture maker, metalworker, and a pyrotechnician by trade. He honed his trade building residential and commercial furniture and subsequently founded the New Mexico Furniture Company in 2003. In 2011, David opened David Anthony Fine Art and quickly established DAFA as one of top art galleries in Taos. David is chairperson of the Taos Marketing Committee and serves on the boards of several art organizations. Robert's gallery is an institution that has been in Taos for the last 28 years. During this period of time he has launched countless careers and championed the artists of the Taos market with an eclectic eye that has helped form the present Taos' aesthetic. His artists are in various museum collections and his collector base reflects his deep roots within the New Mexico Arts Community. Some of his recent projects include curator for the Taos Fall Arts Festival, president of the Taos Gallery Association, and host of the annual Hearts and Stars Auction. Greg Moon - Artist, Curator, Owner of Greg Moon Art. Greg has worked in the commercial gallery scene for 37 years, 28 of those years in Taos. His space focuses on works of the contemporary vein with an emphasis on fine art in the “old school” mediums of painting, photography, printmaking, mixed media, sculpture, and assemblage. 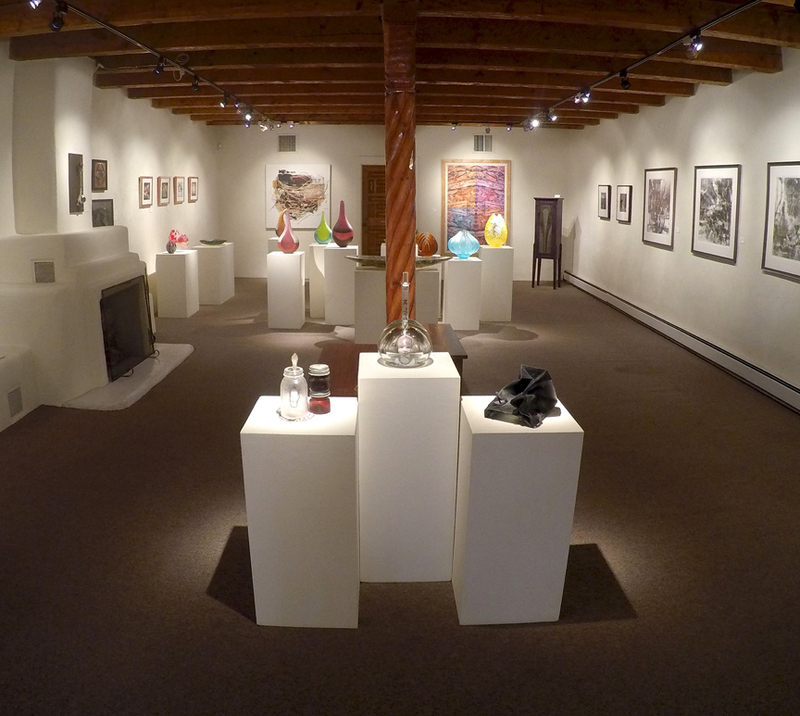 One of his latest projects was co-curating “Orale': Kings and Queens of Cool” at Taos' Harwood Museum of Art. The show was a in-depth survey of Lowbrow and Pop-Surrealist artists in the U.S. The show is open to all US based artists 18 yrs. and older. Entries are being accepted in painting, drawing, printmaking, photography, sculpture, mixed media, fiber arts, digital printed media, and assemblage. Giclees will only be accepted in photography and digital media. All photography/ digital media prints (with the exceptions of Polaroid, platinum, and albumen) must have an image size of at least 8 x 10”. All works must be for sale and remain in the gallery for the duration of the exhibition. Any work not comparable to the file submitted can be rejected at the juror’s discretion. All works must be ready to hang or display. All works requiring glazing must use plexiglass. No substitutions for works accepted into the show. 2-D pieces are limited to a width of 52” and a height of 72” with framing. 3-D pieces are limited to a width/ depth of 32” and a height of 72”.